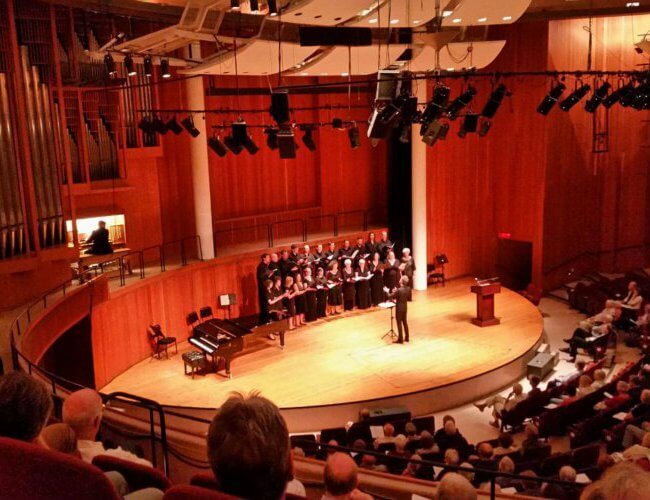 ARE YOU NEW TO VOX? 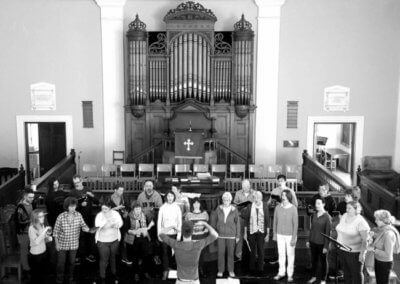 Hover over or tap on some of our favourite photos below to find out more about who we are and what we do. 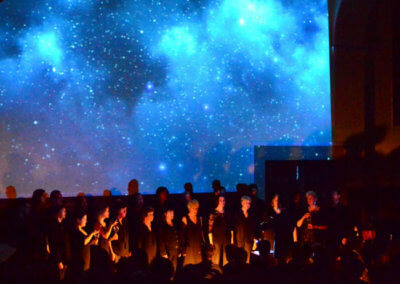 Cape Town’s most innovative singing group comprises approximately 30 singers from diverse backgrounds. 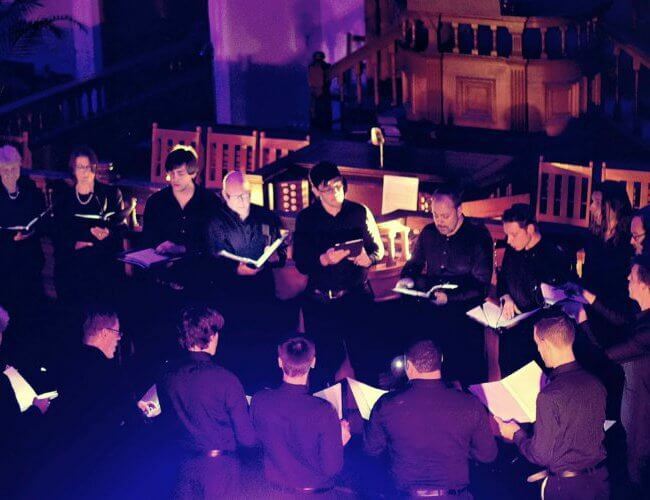 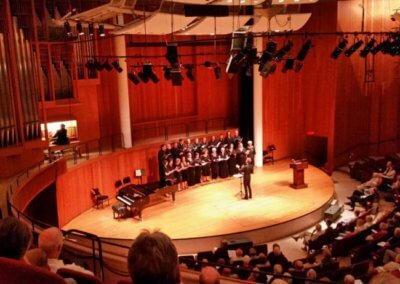 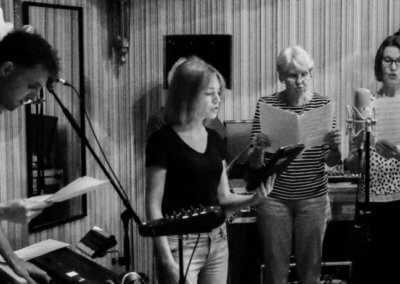 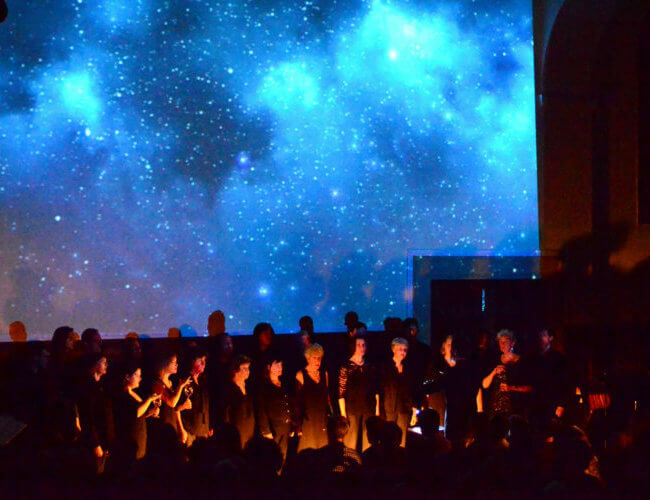 VOX intends to invigorate choral music through imaginative and immersive experiences. 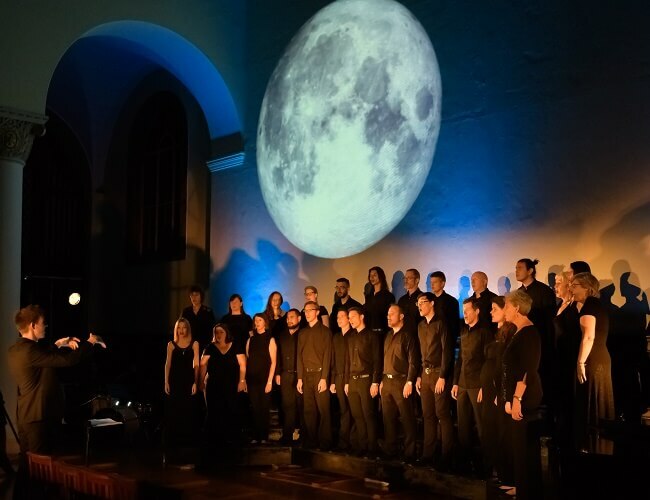 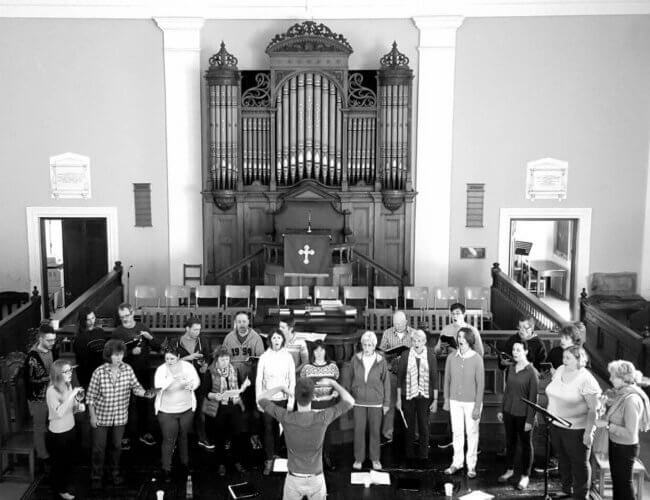 VOX’s first major performance took place in September 2016 in St Andrew’s Presbyterian Church and juxtaposed the choral music of two iconic composers from across half a millennium. 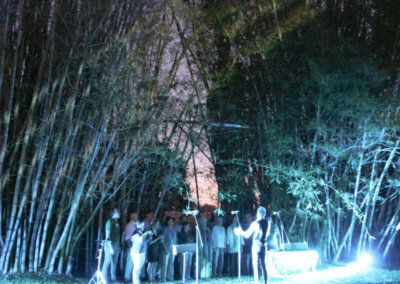 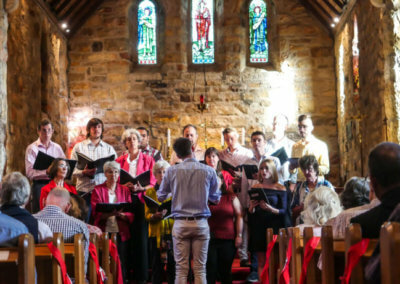 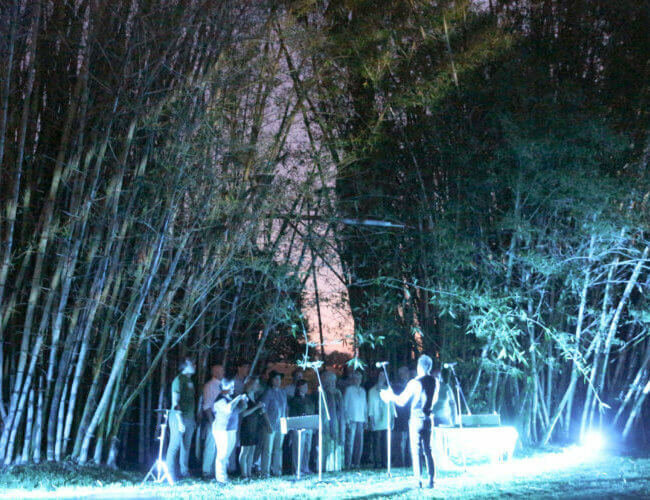 Besides performing in traditional choral venues, VOX enjoys unusual settings such as the “In the Dark” series in the Youngblood Art Gallery and the Festival of White Lights at Spier. VOX intends to bring choral music to the wider community. 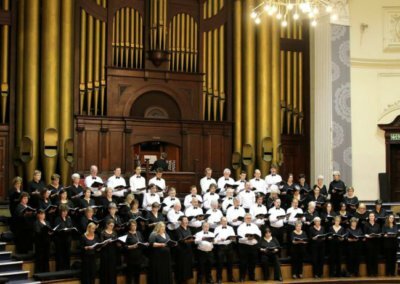 For example, VOX participates in Dr Barry Smith’s lecture-demonstrations in the Baxter Concert Hall for the UCT Summer School. 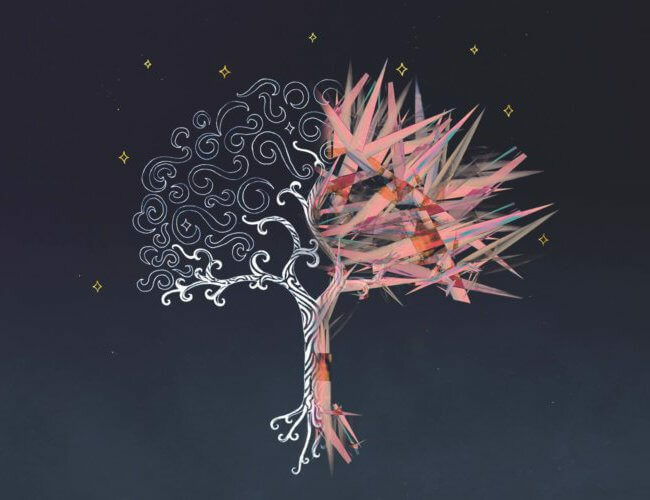 Visuals are an important part of VOX’s creative vision. 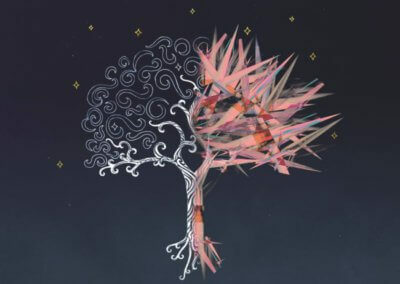 This unique tree motif, designed by James Rink, represents our “Trust the Silences” performances and our first album. 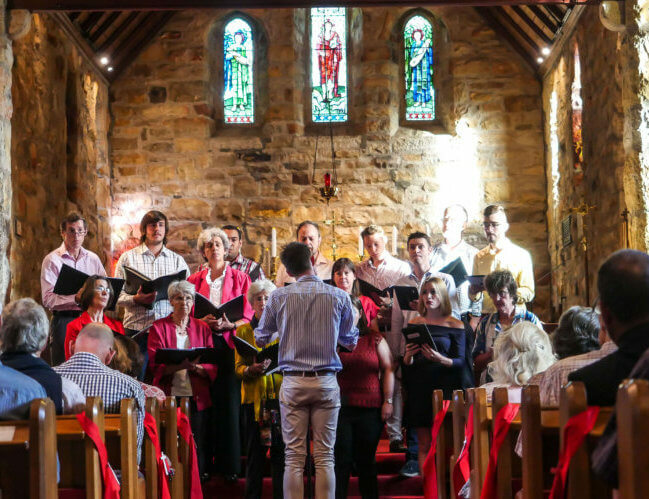 Every year, VOX celebrates two Festivals of Nine Lessons and Carols in December. 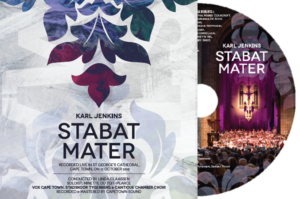 Since 2016, recordings of this service have been broadcast on Fine Music Radio 101.3 FM on Christmas Eve. 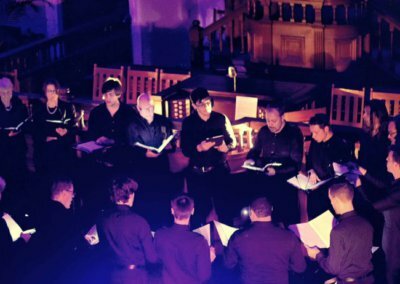 VOX’s most popular performances have been two celebrations of contemporary choral music in the glorious acoustic of the Memorial Chapel, Bishops, in late 2016 and early 2017. 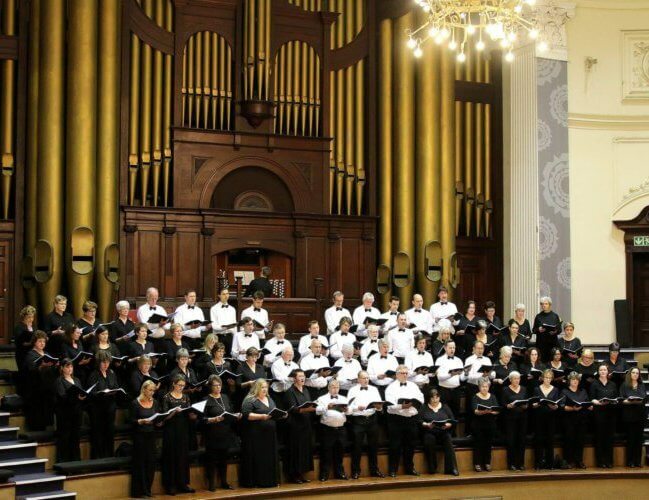 VOX enjoys collaborating with other musical groups such as Camerata Tinta Barocca and Stadskoor Tygerberg to perform larger works from the orchestral choral repertoire. 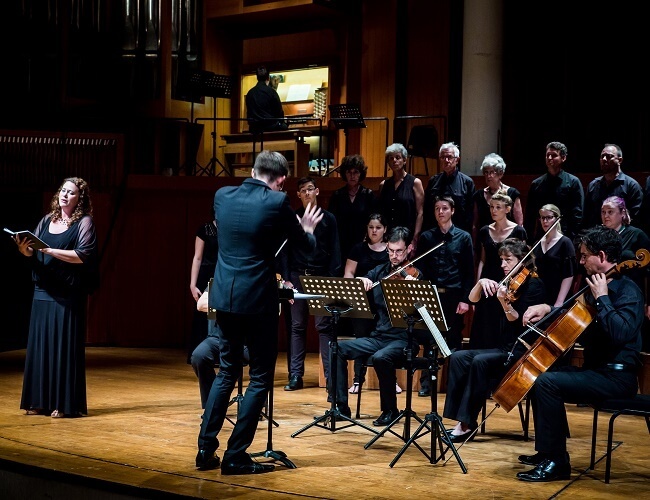 VOX enjoys diversity in its musical endeavours and aims to release high-quality recordings. 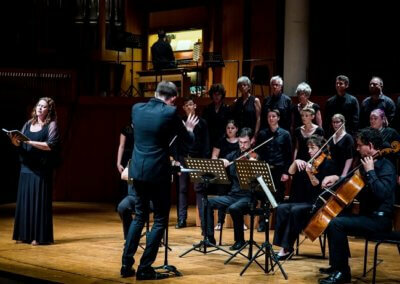 In addition, VOX occasionally records vocal material for foreign advertisements at The Planet Art in Cape Town.